One thing common among all of us is that we have accidentally burnt ourselves at some point in our life. Whether it is a hot cup of coffee or a severe burn from hot kitchen oil, burns hurt, and even worse, the pain lasts until the skin starts to heal. Burns are a form of tissue damage caused due to the exposure to chemicals, electricity, radiation, heat or flame. Burns can be categorized as first, second and third degree, depending on how severely and deeply they have affected the skin’s surface. Burns with first degree show inflammation whereas the ones with second degree show blisters on the affected area; third degree burns cause cell necrosis over the skin. As the burnt skin is tender, the use of natural remedies like essential oils is preferred over invasive modes of treatment like dabbing the wound with an ointment. Essential oils not only offer soothing relief from pain, but they also speed up the healing process while at the same time preventing further infections on the skin. 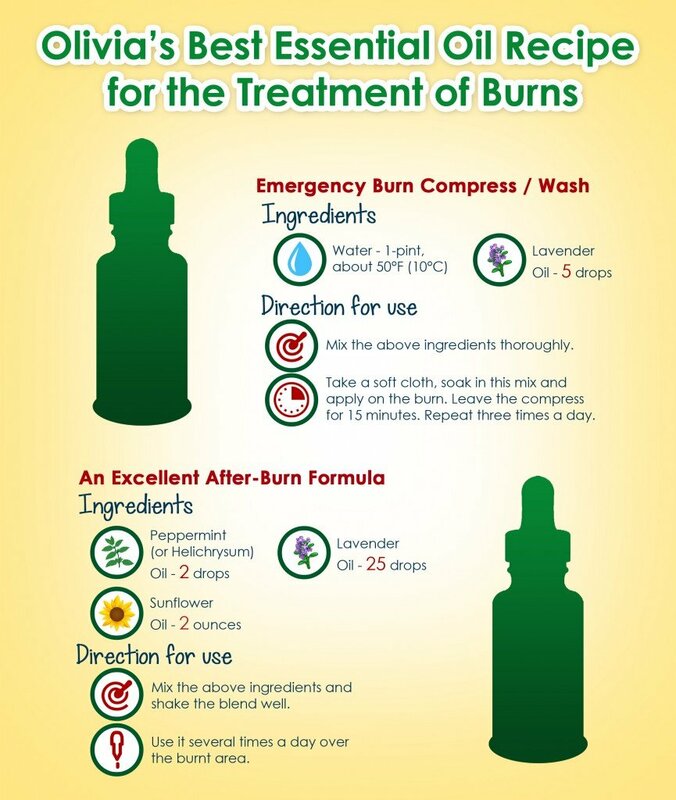 Less severe burns can easily be treated at home using essential oils. The use of essential oils not only helps in reducing the pain but also speeds up the healing process while preventing further harm to the skin. With that said, here are some of the best essential oils I have found to be most effective in healing burns. The essential oil of Lavender is the most popular essential oil that can be used for healing burns. This floral oil not only minimizes the pain but also supports the process of healing and regeneration of new tissues and cells. With the use of Lavender, you also minimize the chances of scarring over the affected area. While your burn is healing, it is imperative to have a check on the subsequent infections that may arise. Fortunately, the antibiotic properties of Lavender essential oil can help in preventing further infection of the affected area. Lavender can be used in combination with base oils such as almond or sunflower. Sunflower oil is high in natural vitamin E, which is very beneficial in helping your skin stay healthy. Use the Lavender blend a number of times a day to the afflicted location. If you experience discomfort, you may wish to add a few drops of Helichrysum, which is a well-known analgesic and healing agent. Another essential oil with a remarkable knack to heal burns is Roman Chamomile. The anti-inflammatory and antiseptic properties of this essential oil make it an amazing treatment option for painful burns. Furthermore, you can also rely upon Chamomile for preventing further infections. 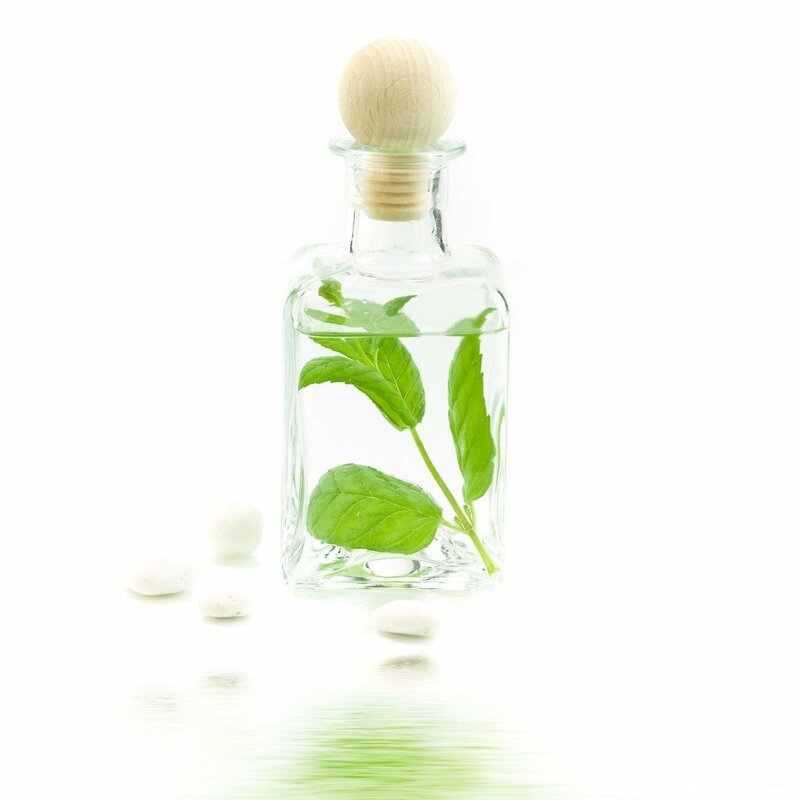 Since ages, the essential oil of peppermint has served as a home remedy for kitchen scalds and burns from steam, oven or stove. The cooling effect of menthol soothes the burnt skin and helps it to heal quickly. Neroli is one of the essential oils I recommend for getting rid of scars caused due to burns. This oil is helpful in healing both old and new scars. For treating a scar caused due to burns, mix one ounce of rosehip seed oil with ten drops of neroli essential oil and apply this mix twice a day over a period of time. It is imperative to be regular with this treatment as old scars generally take around three to six months to lighten. If you are experiencing pain, then the essential oil of tea tree an be a blessing for you. I would also suggest making this essential oil part of your first aid kit because it is highly helpful in relieving all kinds of pain. In addition, tea tree essential oil is popular because of its antiseptic, antifungal and antibacterial properties making it one of the best essential oils for preventing subsequent infection of your burn. Helichrysum essential oil is also a great remedy for burns that have affected the neighboring tissues. The anti-inflammatory effects of Helichrysum helps in cell regeneration. This essential oil is perfect for preventing scars and is most effective with fresh scars. You can also bank upon Helichrysum for pain management. The essential oil of Manuka has skin healing and antiseptic qualities making it one of the best essential oils for treating burns. The essential oil of Rosewood can be beneficial for those that are worn out with stress or have issues with their skin, headaches and injuries. Rosewood can also be useful in improving the skin’s flexibility and reducing eczema, psoriasis and acne. Due to its antibacterial qualities, Rosewood is one of the oils I would recommend to prevent further infections of burns. There are no recognized adverse effects to using rosewood. It can be used topically or in a diffuser. For relief in pain caused due to burns, you can rely on the essential oil of Clary Sage as a potent anti-inflammatory. There are no known negative effects to using Clary sage when taken in appropriate portions. It can be taken internally (it adds to the taste of food) or applied topically. As always, please consult your doctor prior to ingesting any essential oils in case of any underlying health conditions. Calendula essential oil has great medicinal value for treating burns. Its anti-inflammatory property brings down the puffiness and redness of the affected area. In addition to that, Clary Sage helps in cell regeneration and speeds up the healing process. Regular application of this essential oil on your burns will help in preventing scarring. The essential oil of Eucalyptus is an antiseptic and antimicrobial agent, making it highly useful for preventing the burnt areas from being infected. 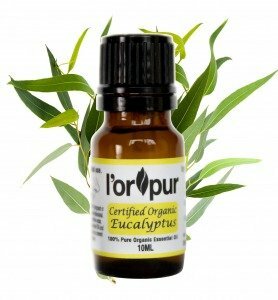 Apart from its usefulness as an antiseptic and antimicrobial agent, I often find Eucalyptus a natural pain reliever that is awesome at its work. The essential oil of Lemongrass is a well-known inhibitor of bacterial and microbial growth in the body. Therefore, you can expect lemongrass to act as a shield and make your burns less prone to infections. Now, let me introduce this unbelievable deal from the team at Miracle Essential Oils. They are offering this amazing limited-time offer for anyone to purchase any of their “Signature Essential Oil Blends” for just $1 (some retail for as much as $39.95!). It just doesn’t seem possible. But it is. Simply click on the links below and you will be in for a treat! Add 5 drops of the essential oil of Lavender in water and mix it well to diffuse the oil. Now take a soft cloth, soak it in this mix and apply it on the burn. Leave the compress on the burn for 15 minutes and repeat this procedure at least three times a day. Another way to use this recipe is to immerse the affected area in the mix for some time. Mix all the ingredients in above-mentioned amounts. Shake the blend well and use it several times in a day over the burnt location. Instead of Peppermint, you can consider using Helichrysum. I can confidently recommend this recipe of essential oils for sunburns as well. Make sure you have enough amount of this blend with you before venturing out to the beaches! For lighter burns, just apply concentrated Lavender oil to the affected area. Repeat this procedure 2-3 times on a daily basis until the burn has healed entirely. Do a test patch beforehand in case of any reaction with undiluted essential oils. 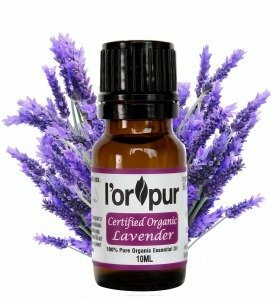 You can prepare your own spray by adding 20 drops of Lavender essential oil to 2 cups of distilled water. Now fill this mix in a spray bottle. Whenever needed, shake it well and spray on the areas affected. Prepare your own mix of Lavender essential oil and Aloe Vera gel by mixing 1 cup of fresh aloe gel with 20 drops of Lavender oil. Lavender oil and aloe gel make a fantastic healing blend, so you can apply it every couple of hours to reduce pain. If your burn needs a dressing, then apply 4-5 drops of this essential oil blend onto a sterile gauze patch and cover the wound using it. Remember to change the dressing every few hours to avoid infection, as burns are prone to infection. To a bowl of cold water, add 8 drops Lavender oil or 5 drops Roman chamomile per cup of cold water. Add a couple of ice cubes if needed. Immerse the burnt location in this water for quick relief. If the afflicted location is not a hand, finger or part that can quickly be immersed in water, then use a cold compress. Make sure that you do not freeze your burnt location. You need to use cold water, not ICE water. A couple of cubes of ice will help keep the water chilled. One wonderful recipe to help prevent scarring is to prepare a blend of Lavender, Helichrysum and Neroli along along with two terrific skin-recovery base oils: Rosehip and Hazelnut. All ingredients to be mixed in equal proportions. Obviously, any severe burn, including sunburns need to be treated by a doctor. Do not try to deal with severe burns using essential oils without seeking advice from a doctor. In a tub of cool water, add the above-mentioned ingredients and soak the sunburnt area in the mix for fifteen to twenty minutes. Do not scrub the burnt locations. You can repeat the process every couple of hours until the discomfort subsides. Add a couple of ice cubes to the water if you wish to keep the water cool. Use a small cup to soak areas that cannot be immersed in water. You can also consider adding a little amount of baking soda to your bath for additional relief of the burnt locations. Add all the ingredients in 1 oz glass container and mix well. Apply to the burn using a cotton ball as gently as possible. Mix thoroughly prior to each application. Put 2 cups cold water into a non-reactive bowl and add the essential oils into it. Stir well to distribute oils. Soak the cloth in this water and wring it well. Apply the cold compress to burn locations. Add all the ingredients to a glass container and let it sit for a day or two. Shake carefully prior to applying it on the scar areas. Add all the ingredients and fill rest of bottle with Aloe Vera water. Keep in refrigerator and shake well prior to using it in a diffuser or spray bottle. Not all of you will have essential oils handy at home, so I have also included a few natural home remedies using simple ingredients that can offer immediate relief from burns. I wish to stress that the use of essential oils will yield better long-term results when it comes to treating burns, sunburns and scars. After an accident and before using any home remedy, it is important to clean the burnt area with cold running water. Alternatively, you can just immerse your hand in a container filled with cold water. This will help relieve some of the discomfort and clean the area before applying the natural home remedy treatment. It is also essential to evaluate the seriousness of the issue, since only first degree burns can be treated at home. In more severe cases, you may need medical intervention. 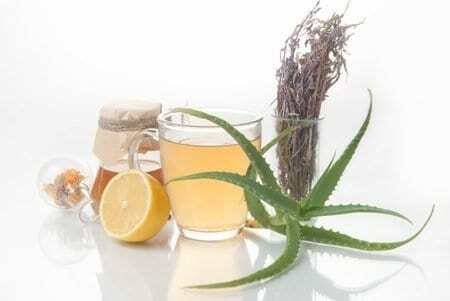 Aloe vera is undoubtedly the king of home remedies when it comes to skin burns and problems. While being an excellent pain reliever, aloe vera helps to regenerate the skin. Just cut a leaf of aloe vera plant and apply the gel on the affected area. You will experience immediate relief. Likewise, aloe vera is highly effective for treating sunburns, making it one of the most popular plants people want to grow at home. The poultice of aloe vera is an excellent home remedy for burns because this plant has, within its leaves, a gel that is moisturizing and soothing to the skin. The gel also helps in healing and reducing the pain of a burn. Remove the thorns and cut the leaf of aloe vera in half, lengthwise. Remove the gel from the leaf and place it on a bandage or sterile gauze. Cover your skin with this bandage. This poultice should be changed at least twice a day. Potato is another powerful moisturizer that will help relieve pain due to burns. Potato is quite effective at reducing pain because of its ability to absorb heat. Potato is also rich in vitamin C, which facilitates the healing and reduces the burning sensation. Just cut a potato into two halves and apply it directly on the affected area; you will notice the effect immediately. Peel and cut the potato into slices, before placing them on the burnt area. Thereafter, cover them with a clean cloth to keep them in place. Banana speeds up the healing of burns and prevents blisters, because of the presence of a substance called leucocyanidin in its peel. Leucocyanidin is also a substance widely used in other forms of treatments recommended for burns. Put the inside of the banana peel on the burn and then cover with a sterile gauze. Change the banana peel, if necessary, after every 2 hours. Repeat the procedure several times a day. A good home remedy for burns is the lettuce poultice, especially in cases of sunburn. Lettuce has properties that rejuvenate the skin. Apart from that, its analgesic action relieves the pain almost instantly. Macerate the lettuce leaves with olive oil and then put the mixture into a sterile dressing and apply on the burn. The poultice should be changed twice in a day. Onion is one of the most powerful antiseptic agents that helps to moisturize the skin. Onion is present in most homes, so in case of a domestic burn just cut an onion in half and apply it over the burnt area. With this simple remedy, you can easily treat domestic burns and avoid the appearance of blisters on the affected area. Honey is another good antiseptic, and one of the great choices you can make to soothe and heal burns. Although the area gets a little sticky, do not hesitate to try this alternative. I would recommend that you cover the affected area with gauze to avoid honey staining your clothes. The texture and properties of tomato make it an excellent option for those that have had minor burns. This fruit, usually considered a vegetable, has a great moisturizing power, as well as healing ability that can quickly relieve pain caused due to burns. A natural remedy for sunburn would be to form a paste with water and sugar and using it over the affected locations. Sugar helps to moisturize the site while facilitating healing and preventing blisters and scars. Mix water and sugar until a smooth paste is formed. Put this paste on the affected area and cover with a sterile gauze. Follow this procedure two times per day, rinsing the skin with warm water after every application, without rubbing. A good tip I would suggest is to add the white of 1 egg to the mix. Egg has collagen, which helps in the formation of new skin. A good homemade ointment for burns can be prepared using liquid petrolatum (Vaseline) and watercress juice. This ointment not only relieves pain but also prevents the formation of blisters. In order to prepare this ointment, mix 2 tablespoons of watercress juice in a small amount of Vaseline until it is a uniform mixture. Massage this lotion onto the affected area three to four times daily until there is complete relief. This ointment should be stored in closed and dark container. If kept inside the refrigerator, you can use it for up to 15 days. All of these home remedies are meant to treat minor burns. Burns that are more serious require medical care. When the pain does not go away or the burn has affected tissues beneath the skin, the first thing you should do is to seek the advice of a dermatologist and start appropriate treatment. For burns and scalds, hold the burnt location under cool or lukewarm water or use cold or warm compress with 8 to 10 drops of Lavender in it. If the burn is from melted plastic, wax or hot tar, you might need to keep ice on the substance to allow yourself to take it off your skin. With most of the essential oils, you can use them as frequently as you want, depending on the extent of your discomfort. In case you are afflicted with third degree burns, I would suggest having a medical advice before using essential oils. Once your doctor confirms that there is nothing serious beyond the burns, you can go ahead with the use of essential oils to speed up the healing and recovery process. All essential oils, in my knowledge, have enough healing properties to help your body heal and recover on its own from burns. THANKS! I love your products and they are are going FAST! I have PPD burns on my ears and scalp from dying my hair. What do you recommend for healing? The wounds are weepy, itchy, and burn. I have had this reaction before and it took weeks to heal. I would use a few drops (3-4 drops) of helichrysum diluted in 2 tsp of grapeseed oil and apply to the affected areas. Further, you can apply 2-3 drops lavender or roman chamomile diluted in 1 tsp of almond oil to soothe the ‘wounds’ area. Please do a skin test patch beforehand to make sure there is no adverse reaction. Hi Olivia: was reading your page here about essential oils and burns. My brother is having to take radiation treatments that are making the skin of his shoulder very sore. Can you give me a recipe that can soothe the skin, relieve the itchiness (he’ll have that soon enough) and keep the area moisturized? I was thinking a base of aloe vera gel or oil would be a good start, but what else could I use to help? Love your page ! thanks!! You are welcome. Given the radiation treatment and itchiness, I would rather use a gentle blend such as Simply Body Oil which will help with moisturization as well. I have this itchiness in the face, the areas mostly affected are around eyes, in the chick bones down towards the mouth and the chin. The other problem is that now I have two colour face and I hade it, i don’t know what to use. It would be advisable if you could see a doctor for a diagnosis and if you want to take the all-natural approach, we can then look at essential oils. But, first of all, you need to understand the root cause of the itchiness. I actually tried a potato a few years ago and was blown away by how well it works! I have used lettuce for slivers and splinters as well. I am really enjoying all of your posts on here. I am going to book mark all the ones I am reading. I am always looking for new natural remedy blogs with useful healing information. Found a great recipe for burns (recipe 6)! My husband and I are very grateful for this. It must have taken you ages to write this but it’s going to help so many people! Thank you so much, Olivia! You are welcome, an easy homemade recipe for burns. I have a situation in which I hope essential oils can help. My dog has completed radiation treatments that have left his skin burnt, raw, weepy, and very painful. Do you know of anything that can help that area heal that will also reduce inflammation and pain? If you want to try essential oils, please talk to your Vet first to make sure he is happy with this and that essential oils do not interfere with other medication that your dog may be taking. The recipe below should help with dry skin / inflammation and help moisturize your dog’s skin. Mix all the ingredients in a glass dropper and apply generously to the affected areas. Please do a skin test patch beforehand to ensure your dog is not allergic/sensitive to any of the essential oils. Please refer to this article below, under the subheading for “sunspots” for the essential oil recipe for pigmentation marks. I have been looking for this type of information for so long and we really need lots more of it, that being a specific ailment, effective oils for it, relevant recipes, dosages/application methods and other natural remedies. Well done. Thanks so much and for subscribing to my newsletters. Always a pleasure to be of service. My little guy (he’s 5) got a nasty little burn from the stove and I had to quickly do a search and find some way to help him out. I had some Eucalyptus oil around the house so I used it and it was so much better. I had forgotten about the good healing properties this has but as soon as I found your article I remembered this. It’s actually quite incredible how many natural remedies for burns there are! That is excellent. Thanks for believing in the power of essential oils to heal burns, nature’s best! Thank you for including those simple to make recipes – they’re life savers! I was looking for a way to use essential oils for sunburns and you helped a lot. What a useful article you’ve created here; bookmarked it so I can come back to it when needed. Hopefully I won’t need it often but who knows, right? I will also check out your skincare ebook since I’m sick and tired of paying hundreds of dollars for different, well-marketed-but-good-for-nothing creams! I’m hoping your ebook will help with that and I can spend a bit less while getting much more out of it. It is my pleasure. Sure, it is an excellent eBook for skincare and I have had positive feedback. I used Neroli oil for a scar I had for some time and it did its thing quite remarkably. I couldn’t believe I used expensive creams and they did nothing at all and after using this oil for 2 weeks things are looking so much better! Needless to say I will be continuing this treatment since it seems to be going very well. If I manage to get rid of this scar using Neroli oil I will give it the “best of the best essential oils for scars award” :)! Believe it or not, Olivia, I had no idea that lavender essential oil was such a good choice when it comes to essential oils for burns. Never used it and never heard anyone use it but I am very curious about it and will definitely give this a try next time me or my family has a burn. I knew about Calendula since my mother always used it whenever something bad happened. I really need to pack my medicine cabinet with more essential oils. After you’ve tried it, let me know how you go.